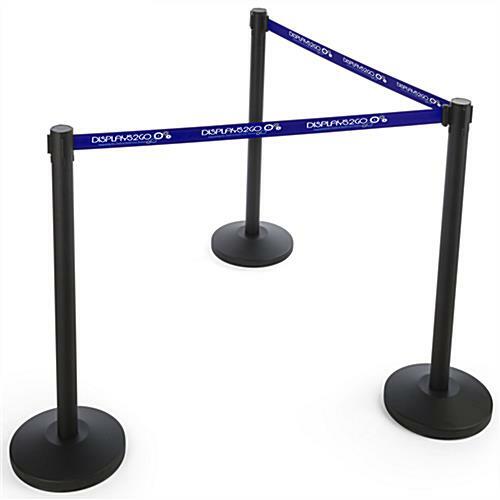 This 3/color silkscreen retractable blue belt is designed to fit our QueuePole.Economy series of stanchions. 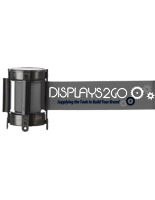 Each replacement cartridge attaches with screws to the crowd control barrier posts. 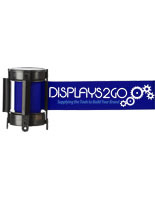 The silkscreen printed retractable blue belt is ideal for showcasing logos, graphics, messaging or wayfinding informtion. 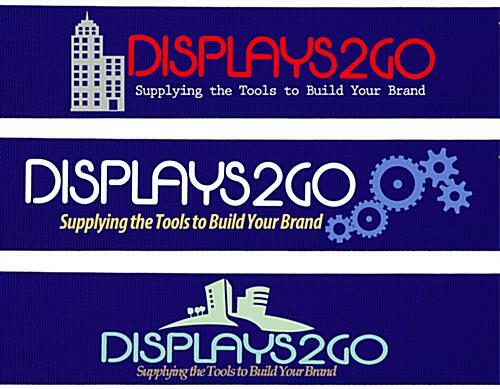 Each custom design is printed in three colors to match branding or decor requirements. 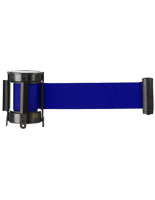 This retractable blue belt features a cartridge with a 4-way adapter design that attaches securely to posts. 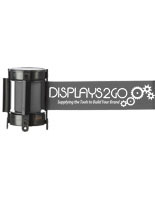 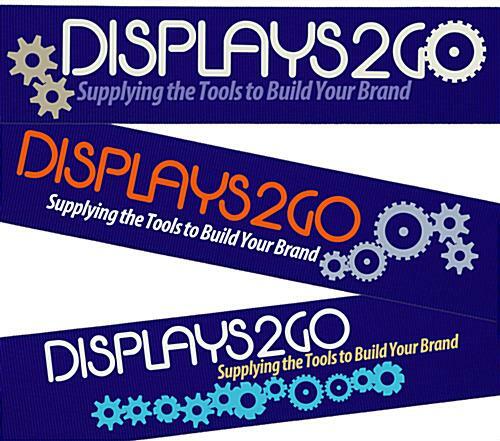 Custom branding make this crowd control barrier accessory a perfect choice for banks, theaters, hotels , clubs and more. 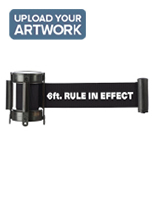 Please Note: This unit is a replacement belt for QueuePole.Economy line stanchions ONLY. The adapter is not compatible with any other QueuePole or other crowd control stanchion poles.